It is expected to add more than 4,500 jobs in the area. Tesla’s Gigafactory may just have gotten a new neighbor. 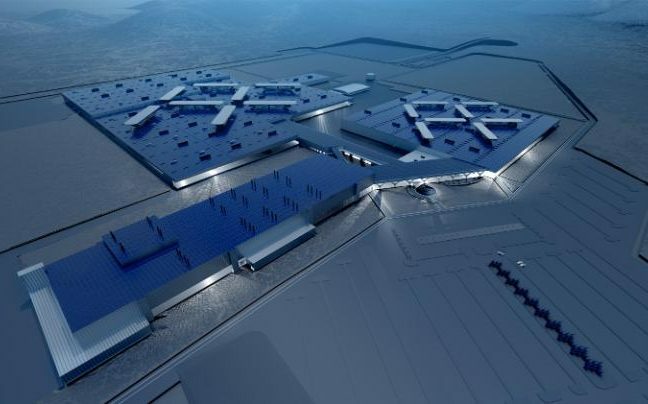 Electric car company Faraday Futures, backed by Chinese businessmen Jia Yueting, is starting construction of a $1 billion factory in the Las Vegas area, near the location of the Gigafactory. Faraday has already pledged a $75 million bond to pay for rail, rent, and water for the Apex Industrial Park. Meanwhile, Nevada has pledged up to $335 million worth of incentives toward the project including $215 million in tax breaks and $120 million in infrastructure improvements. The site is reportedly three million square feet, and will be an automated “highly connected and environmentally friendly” plant that will emphasize energy efficiency and modern design. It is expected to add more than 4,500 jobs in the area.